James Wilson, graduate student here in the Department of Entomology at Virginia Tech working in Tom Kuhar’s Vegetable Entomology Lab, recently visited our lab with some of his parasitic wasps. This is an image of an unidentified species of Telenomus Gryon reared from stink bug eggs that we captured with our new microphotography system. It’s a tiny little thing, about 1 mm long! 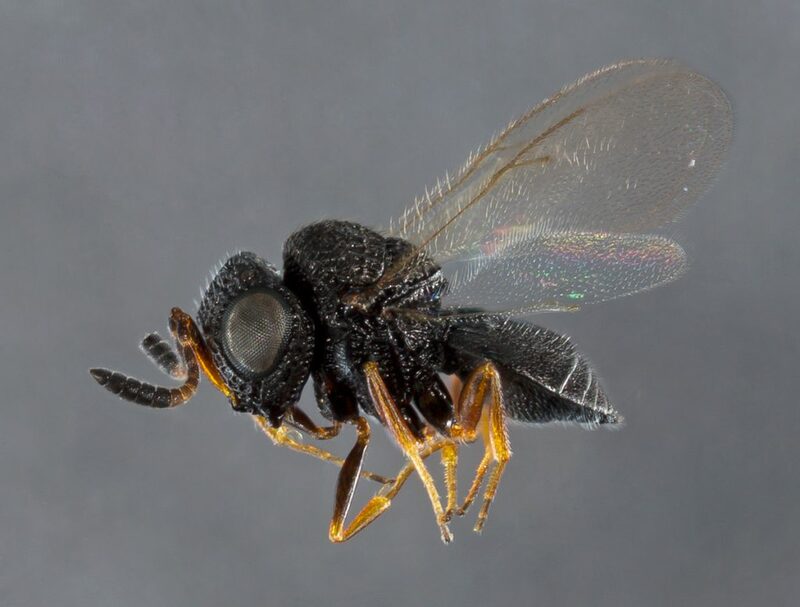 This entry was posted in news and tagged arthropods, biodiversity, laboratory, photography. Bookmark the permalink. Outstanding image! I love the crested seam along the edge of the abdomen. I think this wasp is a Gryon specimen.